and you find excuses to avoid the real world until you've finished. just to read a little bit more. Memoirs of a Geisha by Arthur Golden was just that sort of book for me. because I didn't want it to be over. It is a great story which I found completely fascinating. and it's traditions and cultures are like another world. who is sold to a geisha house. 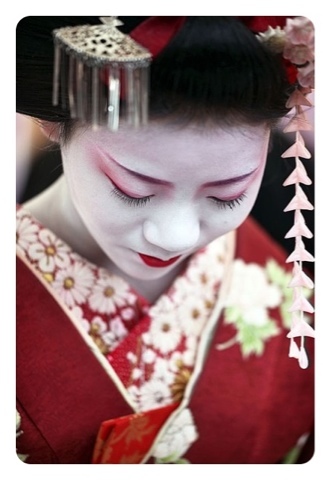 but as she grows her beauty makes it clear that she could be better utilised by the house as a geisha. and the way they lived. and if you haven't read it then I'd highly recommend it. who will receive a copy to read and hopefully enjoy like I did. The Tots100 Book Club is where bloggers share their favourite stories. Every month, the Tots100 invites 10 bloggers to tell us about stories that have moved and inspired them – and to share their favourite books with another blogger. Each month, we’ll be publishing a round-up of the Book Club’s recommendations over on the Tots100 site, meaning you need never be short of great reading inspiration again! I am really looking forward to reading it, it is one of those books that I have always wanted to read but have never got round to doing so.